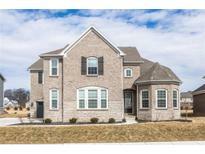 Below you can view all the homes for sale in the Brookhaven subdivision located in Zionsville Indiana. Listings in Brookhaven are updated daily from data we receive from the Indianapolis multiple listing service. To learn more about any of these homes or to receive custom notifications when a new property is listed for sale in Brookhaven, give us a call at 317-987-2530. Beautiful pond view from spacious private paver patio in back. MLS#21617591. CENTURY 21 Scheetz. 2 laundry: main level mudroom & tiled master closet. MLS#21625363. CENTURY 21 Scheetz. Located in Zionsville w/distinctive shops, restaurants & quaint historic brick Main Street! MLS#21624061. F.C. Tucker Company. It doesn't end there...out back enjoy an extended patio & beautiful landscaping w/ a pond view. MLS#21622155. CENTURY 21 Scheetz. Enjoy The Neighborhood Pool, Playground And Top Rated Zionsville Schools! MLS#21622615. Honor Realty LLC. Full Finished Basement, Bath, Storage. Cul-de-sac, Great Yard! MLS#21622972. Keller Williams Indpls Metro N.
Enjoy peaceful evenings on your covered patio overlooking the pond. Welcome home! MLS#21617595. F.C. Tucker Company. This fabulous home has southern exposure backing up to common green space! It will not last! MLS#21610059. Drees Homes.